PCs for People is pleased to announce we’ve achieved three new certifications, adding to our community, environmental, health and safety efforts. The certifications cover the operations in Saint Paul and Denver, Co. PCs for People is now one of fewer than five R2-certified recyclers in Minnesota and the only recycler in the state with both R2 and AAA NAID certification for data destruction. In Colorado, PCs for People is one of only two recyclers with both R2, and AAA NAID certification for data destruction. 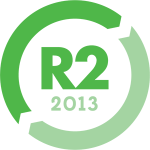 R2-Responsible Recycling certification is the leading global standard for the electronics reuse and recycling industry.  Certification involved a thorough review of PCs for People’s processes for collecting, refurbishing and recycling electronics, as well as the “downstream” vendors it uses. The ISO 14001:2015 certification was granted because of PCs for People’s implementation of an environmental management system, efficient use of resources and waste reduction. OHSAS 18001:2007 means PCs for People meets best-practices for employee and customer health and safety management. Getting the three certifications required PCs for People to go through rigorous third-party audits of its facilities and processes. What Does PCs for People Do?